Last week was the deadline for any Senate bill to be considered and passed by a Senate committee. The power-sharing agreement brokered between Democrats and Republicans – a result of the historic 24-24 tie in the Senate – has already caused one of its expected results. Fewer bills were approved by Senate committees than at any time in recent memory. The only bills that survived are those that have bipartisan support, and many did. The parties have worked together remarkably well. That is not to say that partisanship did not rear its head in the past three weeks. A number of bills were killed on straight, party-line votes. Each committee is made up of equal numbers of Democrats and Republicans and a tie vote kills a bill. Sometimes, there was good debate illustrating an honest disagreement between the two parties. Other times, it was pure partisanship that killed a bill. Most troubling were those times when one party locked up against a bill without so much as an explanation. If either one of the parties is going to “lock up” to block vote against a bill, those members owe it to the people of Oklahoma and their colleagues to explain why a bill deserves to fail. A bill I proposed, one that was suggested to me by one of my constituents, suffered just such a fate. Senate Bill 11 would have ensured that women covered by small group health insurance policies are treated fairly under Oklahoma law. Under current Oklahoma law, every health insurance policy – no matter how small the group – must cover prostate examinations for men. There is, however, no requirement that obstetrical/gynecological examinations for women be covered by health insurance group policies with 50 or fewer members. My bill would have corrected that inequity. The bill died in committee on a straight, party-line vote with Democrats voting in favor of the bill and Republicans opposing. There was no debate when the bill came before the committee, and no reason for this to have become a partisan issue. 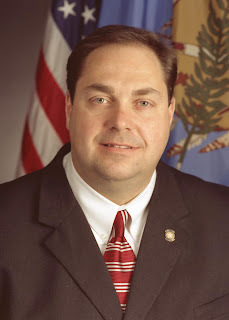 In fact, my House sponsor of the bill was a Republican woman from Lawton. I simply cannot understand why anyone – regardless of party affiliation – would not enthusiastically support a bill to give a majority of Oklahoma’s population the same protection men have. Census figures indicate women comprise 50.6 percent of Oklahoma’s population. Ensuring state law is fair to a majority of our population should not be a partisan issue. We have the responsibility to do the right thing; sadly, Republicans on the Senate Retirement & Insurance Committee did not agree. Despite that setback, I will continue my efforts to protect Oklahoma’s women. The time will come when not even partisanship can kill a good idea. You are currently browsing the archives for the partisanship category.